The platform is becoming more complex and the setup and configuration is growing as a result. The ability to create tools and products that help streamline, standardise or templatize, certain configurations is becoming more compelling. Effiectively creating tools to extend the Setup menu is one use case. Another is to allow ISV's to develop UI's or post install scripts to update subscriber editable items like layouts and picklists. Apex Describe provides some read only support, along with the ability to query certain objects, like ApexClass, ApexPage etc. It would be good to have an API simalar to that of the existing Metadata API available natively in Apex. 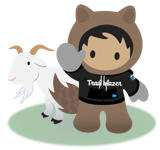 There is an open source wrapper around this Salesforce SOAP API, which has become quite popular with developers wanting to develop solutions such as those above. This library however is subject to HTTP callout and requirements around needing pre-configured Remote Site settings (for Saleforce servers), so is not ideal. Please consider making a Apex 'true to the core' API for Metadata availabe. This idea will be set to "under development" to reflect the fact that there is still more work to be done. Meanwhile, we hope you get a ton of utility out of what we release in Summer '17!! Yes, I know there is an APEX solution, but it is an incomplete one in my view. - It only does UPSERT. Not update or insert. If you aren't perfect with your DeveloperName you can really mess things up. - It is asynchronous. So not only can't you update it and then use it (and it's slow), you can't be sure it happened - there is no where to see failures. This really needs to be a basic synchronous Salesforce Namespace.. This is not the exact solution. But we can use this utility method to create records. The APEX access is fine for what it is, but it is far too complicated and picky. Happening in a future context doesn't help either. Something like Metadata.upsert and MEtadata.delete would be perfect. And it shouldn't happen in a future context because we may need to use it in Batch programs, etc. Our current use case is to manage picklist values and changes from an external system. in my case, i will upsert values in many global picklist. These values comme from a an external database. Thanks a lot @AndrewFawcett for this idea. I have previously used your open source wrapper to modify the metadata in my org from Apex. Will love to see this idea come to fruition as this will help many many developers and open up lots of use cases. I recently also wrote a blog on this that can be found here. Yes, I actually wrote a Linked In Blog concerning this. I still think it should be a synchronous upsert though and have intrinsic methods similar to Custom Settings. Hence, my solution detailed in the blog. Also, the LIMIT of 100 is much too low; especially for Unlimited licenses. AND, there should be a place where we can see where we stand with regard to CMDT limits, both storage and number of CMDT's. AND, those in managed packages should not count. It's great that we can Upsert a Custom Metadata value (though still too complex). However, I don't see a way to Delete/Remove a value. There is a RemoveMetadata method, but that just removes it from the container; not the DB.